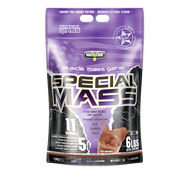 When you want to pack on real mass and muscle, look no further than GAT RADICAL MASS. 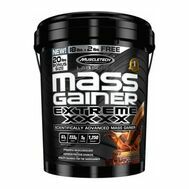 GAT RADICAL MASS is a premium weight gainer delivering a HUGE 960 calories* and only 6 grams of fat per serving without sacrificing a deliciously rich milkshake flavor. 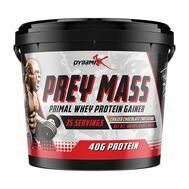 Fortified with key nutrients and electrolytes in a 3:1 carb-to-protein ratio providing 50 grams of high-quality proteins from our own Triple-Whey Matrix. 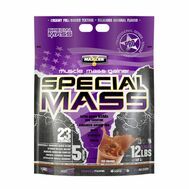 GAT RADICAL MASS: For real results gaining radical mass! Email notificationYou receive SMS messages about each stage of your order. Return and exchange - no problemYou can return the purchased item within 7 days. The goods must be in normal condition and have all the factory packages. Different payment methodsPay orders in convenient ways: by GIRO transfer, by bank transfer on the ATM/counter of the bank or by credit card right at the time of the order. DISCLAIMER: The information given here and on Musclesup.com online store is intended for reference only.The information contained in this site or provided to you in response to a request made or a question asked by you or as a result of the completion of a questionnaire by you (the "Information") is provided for informational purposes only and is intended to provide users with a general understanding of certain wellness and health care topics. If you have any concerns, please visit the vendor's web site. 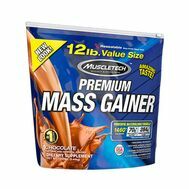 The information above are the views of the product's manufacturer, not the views of musclesup.com. These statements have not been evaluated by the Drug Control Authority (DCA) or National Pharmaceutical Control Bureau (BPFK) of Malaysia. This product is not intended to diagnose, treat, cure, or prevent any disease.